Screw-retained dentures on four or more implants are the most popular type of fixed detachable restorations. 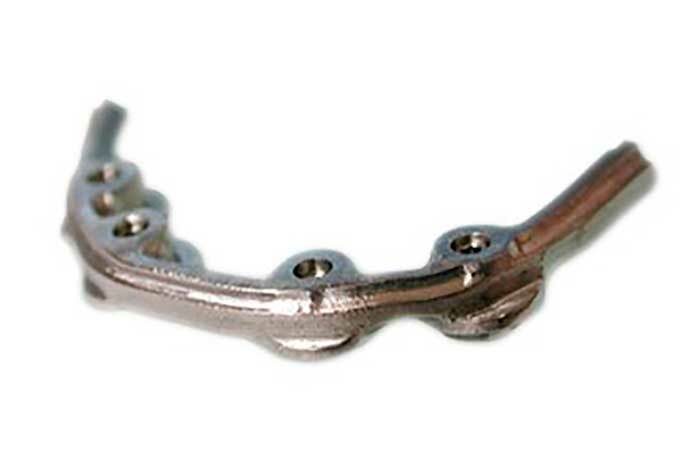 Please read for more information regarding our screw-retained dentures utilizing milled titanium bars and premium-grade teeth and featuring all-inclusive pricing. Our all-inclusive pricing is $2,580 on four implants and $3,180 on five or more implants. This price includes everything required for a restoration affixed to multi-unit abutments already torqued intraorally or a direct to implant restoration. We use only premium teeth for these restorations. 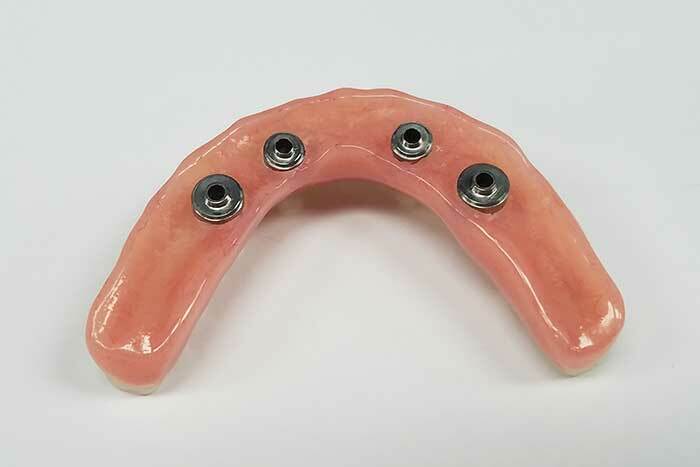 The treatment using screw-retained dentures on four or more implants was developed to provide edentulous patients with an efficient and effective restoration using only four implants to support a full arch prosthesis. Our screw-retained dentures on four or more implants are fabricated utilizing a milled titanium bar and premium-grade resin teeth. Premium-grade teeth are required because fixed detachable dentures take much more load than a standard removable denture. Our fixed detachable screw-retained denture features all-inclusive pricing that covers the model work, soft tissue, baseplate and rim, verification jigs, milled titanium bar with wrap around design, denture setup try-in utilizing premium-grade resin teeth, and acrylic processing. Removable dentures have low mastication forces and limited stability, which inhibit the foods the wearer can eat. Many studies have shown that denture wearers have approximately one fifth to one fourth the bite strength and masticatory force of natural dentition. While there exists a range of acceptable chewing forces, as evidenced by the wide variation in bite strength of natural dentition subjects, the bite strength and masticatory forces in denture wearers fall below the natural dentition range and therefore it is concluded that denture wearers are handicapped in bite force. 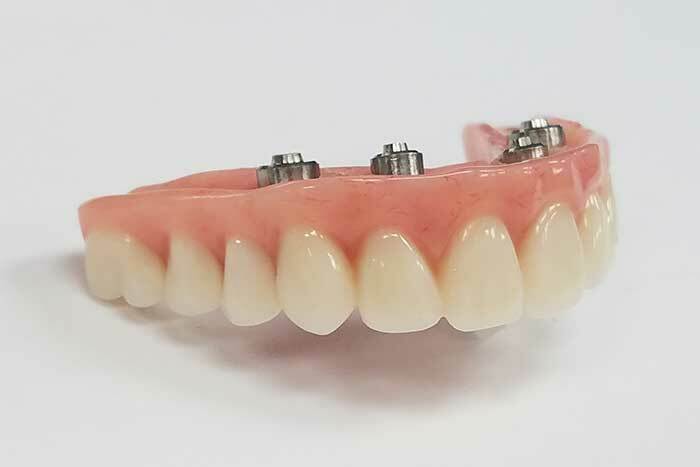 Removable dentures can also accelerate the naturally occurring intraoral bone loss associated with edentulism by placing additional forces on the ridges. A hybrid screw-retained denture circumvents the previously discussed issues with a full set of replacement teeth anchored on four (or more) implants. The implants maintain intraoral bone structure and provide stability to the dentures. The increased stability and support provides increased mastication forces. Additionally, maxillary detachable/hybrid screw retained dentures do not cover the palate, which affords the wearer the normal palatal sensations of natural dentition. 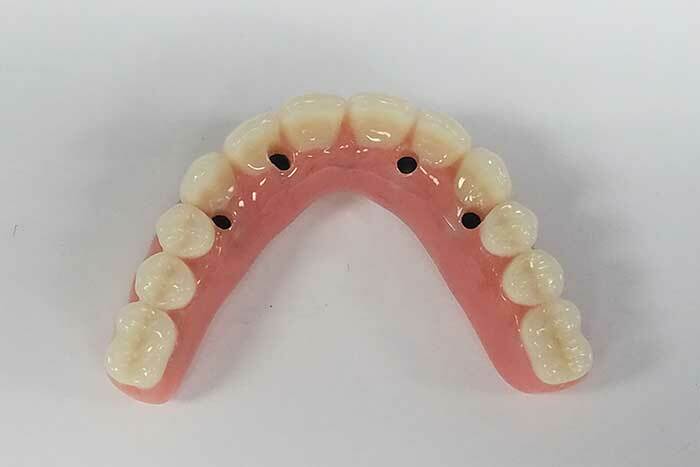 Screw-retained dentures on four or more implants allow various loading approaches to best suit clinical needs: immediate loading, early loading, or delayed loading. 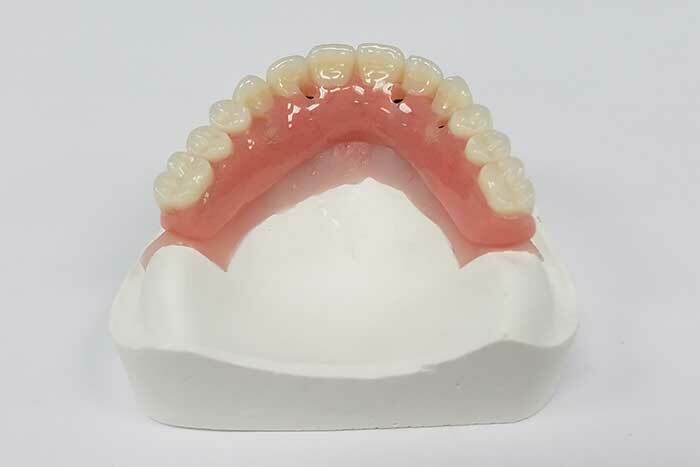 Our team can fabricate interim dentures (temporary dentures) prior to surgery for the patient to wear while the screw-retained implant restorations are fabricated. Our laboratory begins with the impression from your office. This master soft tissue model is confirmed for accuracy with a verification jig at the bite registration appointment. Once verified and returned to us, a setup is made for try in, at which time esthetics and occlusion are confirmed. 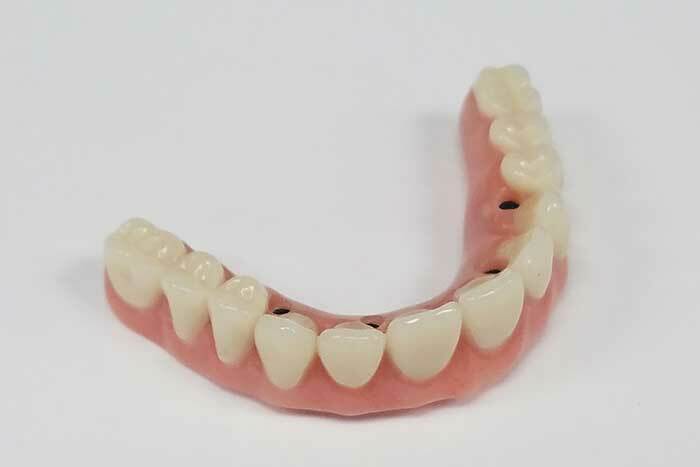 Please note that if the patient has an existing prosthesis that he/she likes, please be sure to provide an impression or model of it to us, so that we can replicate the tooth mould. 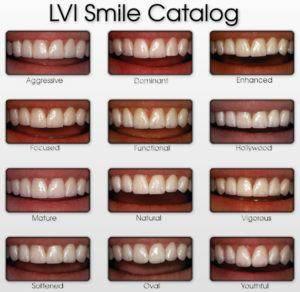 If the patient does not have something existing to reference, please have the patient choose from the LVI smile options shown in the following link, so we have a guide for satisfying your patient’s desired outcome. Next, the setup is returned to our laboratory and the titanium bar is designed to fit within the setup. Once the bar is completed, the setup is transferred over the bar and processed. Because we use the wrap-around design for our titanium bars, only the metal interface and platform (which fit into the implants) is left exposed. 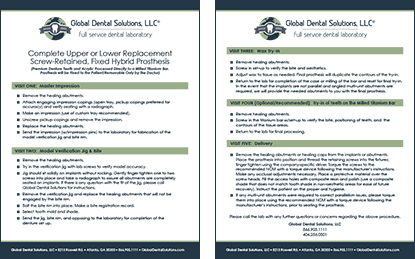 Contact Global Dental Solutions today to place an order. Talk to us about the Global Dental Solutions difference!